Parts of this lacpug meet are available for viewing on the "lacpug channel" at YouTube. Subscribe! "Tools you may of never heard of but one day you will need." Night. Join us Feb. 27 for another night of fun and learning. 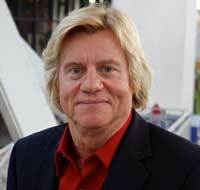 We will welcome Dan Montgomery of Imagine Products. 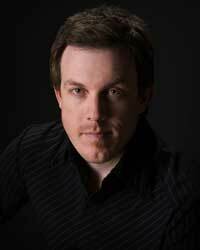 Dan will be presenting Imagine Product's newest archive product, PreRollPost, and a sneak peek at other products coming in time for NAB 2013! Plus, Philip Hodgetts will show us "Lumberjack." "Wouldn't it be great as an editor to have your footage pre-logged and selects strung out ready for you to start work?" That's Lumberjack. 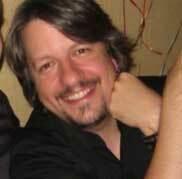 Plus Director/Editor/Producer Jeremy Hunt will screen "Fix it in Post," and tell us how he did it. Plus Steve Kanter will show off brand new Automater apps he has created to make your life with your NLE more, automatic. Plus, editor/colorist/producer Michael Alberts will screen "BLUE HOLE" an award winning short film that has been making the rounds of film festivals all over the country, and along with the director talk about how they raised the funds for the movie via crowd sourcing and other tips on how to fund your movie. Join Gurus Philip Hodgetts, Michael Kammas Steve Kanter and Adam Bedford as they will attempt to answer all of your questions and solve all of your problems concerning FCS and FCPX, Avid, Premiere Pro and anything else you can think of. If they can't solve your problem or answer your question, then you go home with a problem, but you still got out of the house, so that's not a bad thing. lafcpug sponsor AJA will give us the latest. Also if we have time, this is your time. Get up and tell us something about yourself. Ask for a job, offer a job. Whatever you want. Keep it brief. I also want to update everyone on the new projector and discuss ways to raise money to buy it. Steve Kanter is a freelance editor who has cut feature films, documentaries and network television on both Avid and Final Cut systems for nearly 20 years. 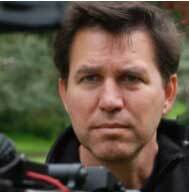 As an MPEG Editor and Assistant, he is expert with multicamera editing, script-based editing (i.e. ScriptSync), and project sharing and media management on shows like Blind Date and Party Down. An Avid Certified Instructor and Final Cut Studio Master Trainer, Steve also works as a freelance consultant and onsite trainer for post-productions facilities, studios and networks such as NBC/Universal, Warner Bros., ABC, CBS, FOX, and HBO. He is a qualified Unity ISIS and Avid Interplay Administrator and has worked for Avid providing workflow design, training and support since 2011. In 2012 he joined the faculty at UCLA as a Visiting Professor for the School of Theater, Film and Television, and created a definitive Avid 6 Core Training product for Ripple Training, which can be found at www.editdog.com/Training. Dan Montgomery of Imagine Products. 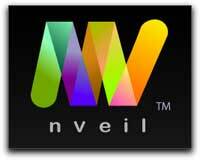 Dan will be presenting Imagine Product's newest archive product, PreRollPost, and a sneak peek at other products coming in time for NAB 2013! PreRollPost is an application that automates indexing your camera originals, complete with thumbs, proxies and metadata, while backing up full resolution media to local disk and long-term LTO-5 tape. Dan Montgomery started his career as a mechanical engineer from Indiana’s prestigious Rose-Hulman Institute for Technology, working for 10 years in industry with electronics, engines and ancillary products. In the late 80s he earned a Professional Engineering license and spent 5 years as General Manager for a high-tech, software based, engineering consulting company in Indianapolis. He and his wife Jane founded Imagine Products, Inc. in 1991 with the concept of applying software to video production workflow. The company was twice honored as one of the state’s top 100 fastest growing companies by Indiana University’s Kelley School of Business. Another high-point in Imagine’s history was being selected to create the video archives for the Salt Lake Winter Olympics in 2002. In 2006 the company introduced the first Macintosh viewer for Panasonic P2 media. Since then it has released various offloading, viewing, transcoding and sharing applications to support the transition to ‘tapeless’ digital workflows. Philip Hodgetts will show us Lumberjack. "Wouldn't it be great as an editor to have your footage pre-logged and selects strung out ready for you to start work?" The demo plan here is to take 5 minutes and interview Michael Horton about the history of LACPUG, using two NEX 7's (set up ahead of time). At the end of the interview Philip will grab the two SD cards and import to FCP X. Then he will quickly create multiclips and export the XML to Lumberjack. Then he will merge and go back into FCP X logged and with a string out of all the answers, cut between the two cameras. All this live and without a net. Philip Hodgetts’ () unique blend of business and production knowledge gives him insight into the current state of the industry, and a remarkably accurate look forward. 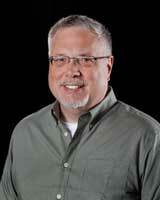 He is a metadata expert and will talk about how to handle a file-based workflow. Philip is also an expert in working in the field with limited resources and no power. In the lobby will be many FCP, Avid and Premiere Gurus. This is your chance to ask questions. No questions? Then talk to each other. 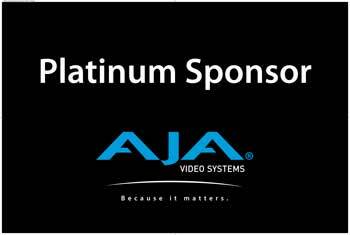 Also in the lobby will be Tery Williams and Christina Oliver from brand new lacpug Platinum Sponsor AJA. The break is a chance to hang out and meet and greet and get your problems solved and who knows, get a job. You never know who you are going to meet at lafcpug. Snacks and Beer and Wine will be on sale in the lobby. Proceeds go to the Gallery Theater. An editor unknowingly affects the world of a guy just trying to get though his day. 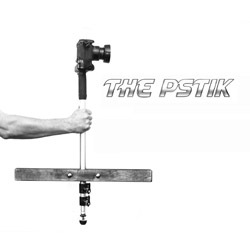 Filmmaker Jeremy Hunt and Autodesk present "Fix it in Post,". Jeremy will screen the short and tell us not only the back story, but how he did it. JEREMY HUNT is a life long resident of Orange County, California and holds a B.A. in Film Production from California State University, Long Beach. Jeremy is the owner and lead artist of Screaming Death Monkey, a visual effects studio which provides cutting edge computer generated visual effects to the motion picture and television industries. His credits span 16 years and include numerous motion pictures and television shows including Star Trek, X-Files, Pushing Daisies, The Tourist, Wall Street: Money Never Sleeps, Street Kings and the visually ground breaking 300, to name a few. Jeremy has been given numerous accolades for his work including two prime-time Emmy nominations for Outstanding Visual Effects and is a current a member of both the Academy of Television Arts and Sciences and the Visual Effects Society. As a filmmaker, Jeremy’s has written and directed numerous music videos, commercials and short films, including the internet defining short film 405 which Yahoo named as one of the most important events in the history of the internet. Jeremy’s recent project, Fix It In Post, co-produced by Autodesk, is a genre bending short film that brings action and comedy together to tell the story of a post production artist who unknowingly affects the the life of a guy who’s just trying to get through his day. Director Eric Gardner and Editor Michael Alberts will screen the short film, BLUE HOLE and talk a bit about how they raised the funds for it. A madman claims an eerie pond near a cabin in the woods called 'Blue Hole' can bring back the dead. Inspired by a true story and a real place in New Jersey. Michael Alberts is the owner and creative director of Ambidextrous Productions, a small production/post- production company in Culver City, CA. Michael started Ambidextrous Productions in 1993 just as the computer was starting to take over the edit room. Ambidextrous started with just one Avid system which soon grew into four. In 2002 Michael decided to migrate his facility over to Final Cut Pro. Ambidextrous has been serving the film, television, commercial and documentary community with a full range of services including producing, writing, directing, editing, color correction, motion graphics and finishing work. Click HERE to download a PDF(300K) of the grounds that points out the parking areas and includes other helpful hints. Enter through the gate on Hollywood Blvd just West of Berendo. The theater is at the top of the hill, adjacent to the art gallery. take the Hollywood Boulevard exit. Turn left at the end of the exit ramp onto Hollywood Boulevard. The Gallery Theater is in the center of the park. take the Vermont Avenue exit. Turn right at the end of the exit ramp onto Vermont Avenue. Turn left onto Hollywood Boulevard. Yes, Los Angeles has a subway and if possible you ought to use it. Riders are dropped of at Sunset and Vermont, one long block from the Art Park. More info on the Red Line can be found here. Note on Parking: Parking is FREE. 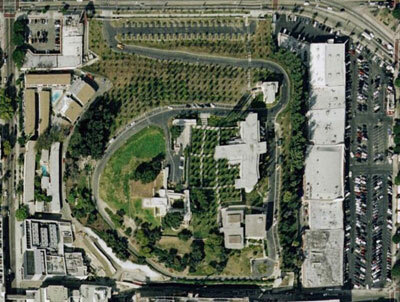 There is ample parking on top of hill near the Art Park. Parking extends around the perimeter of the Park. NOTE: Please park your car diagonally even though the spaces are not marked that way. If there are no spaces to park at top, then use parking lot at bottom of hill near Hollywood Blvd. Click HERE to download a PDF(300K) of the grounds that points out the parking areas and includes other helpful hints. Wheelchair access: Park in the lot next to the Hollyhock house (you will see a handicap parking sign), come into the theatre entrance, and take the elevator down. There will be space in the front of the theatre for wheelchairs. Before or after the meeting, there is a fine restaurant row on Vermont between Hollywood and Franklin (just around the corner from the park). There are also a number of funky ethic eateries along Hollywood Blvd.